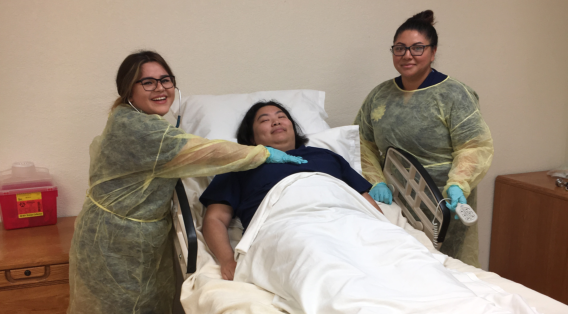 This course is designed for Certified Nursing Assistants who wish to learn how to provide personal care in a home-care setting. Typical clients are those who are unable to care for themselves and/or need assistance toward the recovery, safety and comfort of the patient. Additional emphasis on rehabilitative nursing care, family relationships and the impact of long-term illness on the family, as well as the client, will be included. 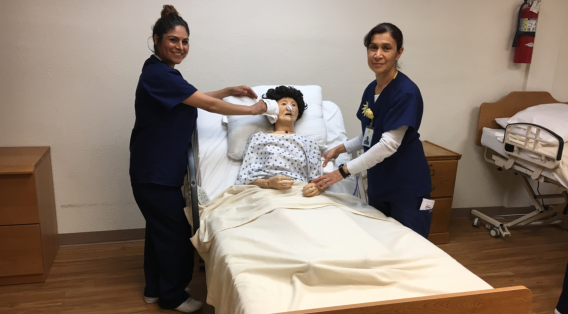 The Home Health Aide training course combines 20 hours of classroom instruction and 20 hours of supervised clinical practice in an assisted-living setting. 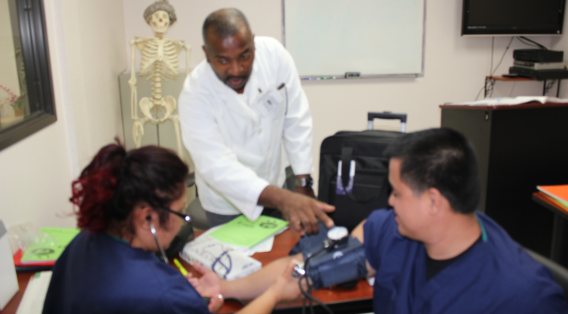 Successful completion of the course will qualify you to be a Certified Home Health Aide (CHHA). 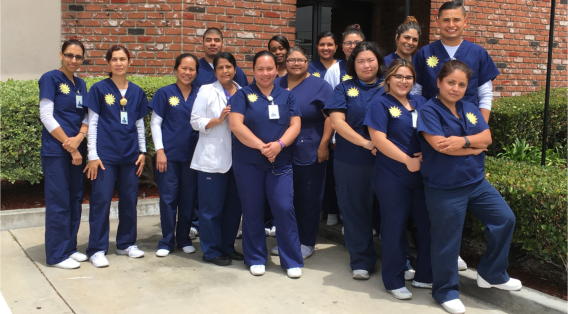 This course meets the certification requirements of the California State Department of Public Health. 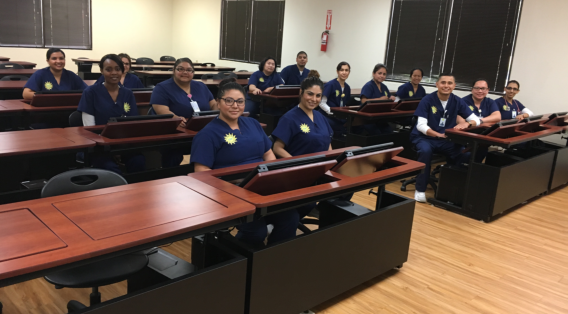 The Home Health Aide program has been developed to prepare CNA’s for certification as a home health aide by the State of California. 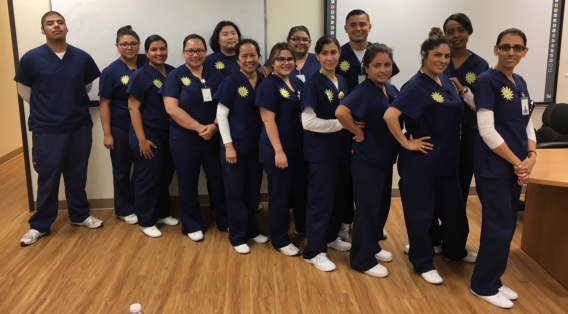 This certification allows the home health aide to function as an entry-level worker on a health care team in a home health agency. 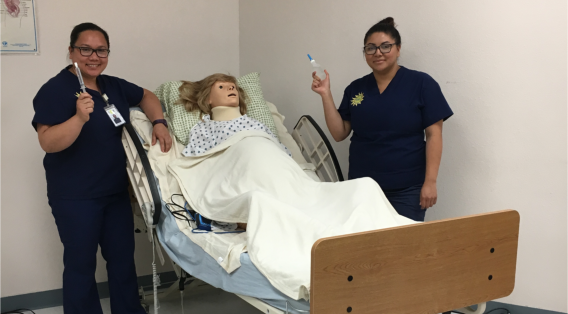 The curriculum is structured to provide theory and practical application of knowledge and skill needed to function as a home health aide. Use verbal and written communications specific to Home Health Aide. Demonstrate legal and ethical responsibilities specific to Home Health Aide. Perform physical comfort and safety functions specific to Home Health Aide. Provide care for geriatric patients. 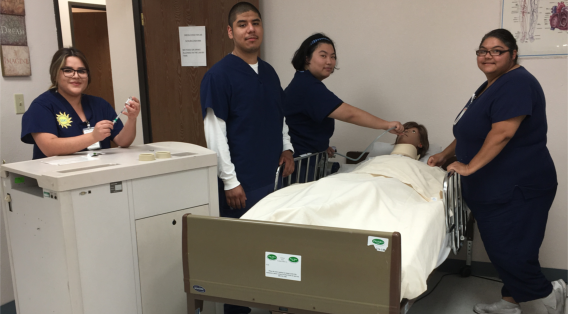 Apply the principles of infection control specific to Home Health Aide. Perform supervised organizational functions, following the patient plan of care. 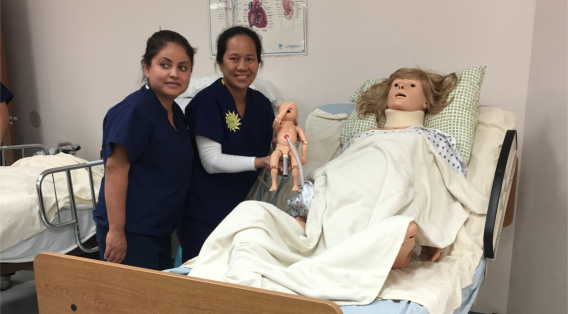 These learning objectives will be achieved through direct instruction, lecture and practicum. The Instructor provides assistance by integrating technology into instruction and emphasizes student-centered learning and by placing more responsibility on the students to take the initiative for meeting the demands of various learning tasks. Proof of good health: A report which includes a medical history, physical examination and PPD test or CXR signed by a healthcare provider performing the physical examination shall be provided to the institution indicating that the student does not have any health conditions that would create a hazard to him/her and patients or visitors. Due before clinical training begins.